Norway, also called the “Kingdom of Norway” is located in West side of the Scandinavian Peninsula between Sweden, Denmark and Finland. 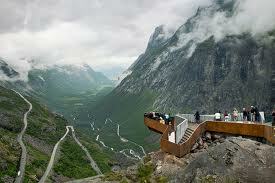 Norway is more than 385,000 Square Kilometers and its number of inhabitants is 5 million. Norway has one of the highest citizen density in Europe. The Capital of Norway is Oslo. One of the most well known aspects of Norway is the presence of Fjords on its Coastline. Norway has both Private and Public Healthcare (Folketrydgen). Although the Public health system in Norway is organized by the Norwegian Government, each county administers it. Public Hospitals are available through the country; however, when a patient wants to visit a specialist he needs to be referred by a General Practitioner (GP) first. Children clinics are also available for baby care. These infant clinics are core part of Norwegian Healthcare and they monitor various aspects of children health. Special Healthcare physicists are also working in Norway Children Medical facilities to follow up on every aspect of Children development. Non life-threatening Medical First aid is available in Norway through Medical service which is located in various places around the country. These facilities are open without interruption day and night all days of the week. Private Healthcare is also available in Norway in Private medical facilities and you are required to take prior appointment before you can visit a doctor. As a result, various Private Hospitals have been set up in Oslo. Although the private sector requires taking an appointment before you can see a doctor, in case of emergency you can see directly a doctor. The Professional directories will allow you to find a Dentist. Generally, young aged children visit dentist regularly since they are placed nearby schools. Pharmacies are located in every district and may require prior appointment. Norway Healthcare is generally good and well developed. The Norwegian Government decided to allocate a significant part of their budget to the healthcare sector. In order to be protected against any health issue that may happen when you travel to Norway we recommend you take a suitable Healthcare plan before you travel to Norway. You may contact us to find out about the best Healthcare schemes that will offer you full comprehensive cover against unexpected accidents or diseases that may happen while traveling overseas. Our International Health Insurance consultant have extensive experience guiding International citizens in the choice of the most appropriate Healthcare plan wherever they may be traveling. If you wish to have receive more information about International Health Insurance in Norway ask us for a Free Quote, please do not hesitate to contact one of our team member. We offer Hospitalisation, Outpatient, Dental or Pregnancy Health insurance plans. I am retiring in Norway, do you offer Lifetime renewable Health insurance in Norway? International Health Cover works with several Insurers worldwide. Our medical insurance advisors can offer you lifetime renewable plans in Norway and in various countries around the world. You may then retire in Norway while enjoying peace of mind knowing that you may renew your Health Insurance plan from year to year no matter whether you develop a serious medical condition. Please contact us for a free overview of several plans matching your preferences and requirements. If I move out from Norway to relocate to Canada, can I keep my Health Insurance plan? We offer flexible International Health Insurance plans. Most of our plans allow you to relocate to a foreign country in case you have to leave Norway. This is important as there will be no interruption in your plan; you may follow up with your cover without having to cancel and enroll again when you arrive to Canada. Similarly, we can offer you medical plans that allow you to relocate to your country of Nationality if you wish to move back to your home country. International Health Cover help you to choose the most suitable medical insurance plan for you and your family. Our team of advisors provide accurate information about a selection of medical plans. Our advisors have International experience in several countries and understand your needs for mobility. If you travel to Norway and need professional advice please do not hesitate to ask us for a comprehensive quote.